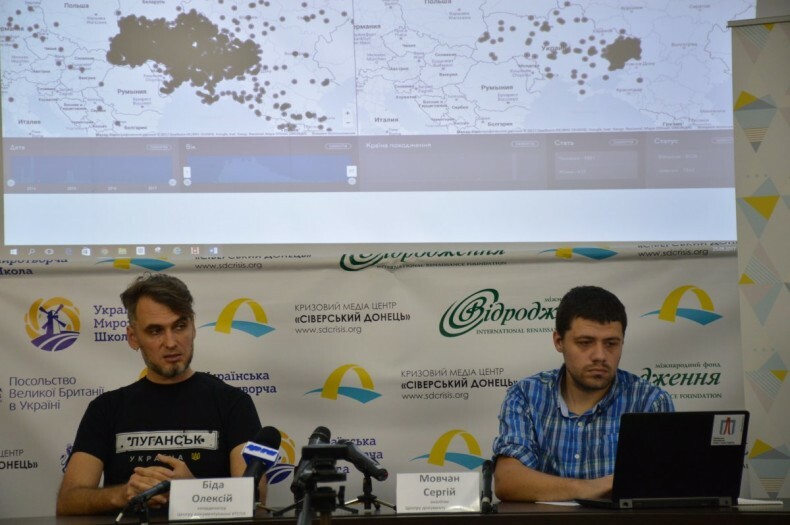 During the past week, between September 25 – 30, the Documentation Center of the Ukrainian Helsinki Human Rights Union presented the Memory Map in five cities of Luhansk and Donetsk Oblasts. The Concept of Transitional Justice, implemented by the Ukrainian Helsinki Human Rights Union in Ukraine, includes a series of measures from conflict to reconciliation. Among the stages of the implementation of this concept are: memorialization of all the dead and truth-telling about war crimes committed during hostilities. The map was created for this purpose. Please find the Map under the link. During the work, which was conducted within six months, information about ten thousand people who died during the conflict was collected. Human rights defenders, having emphasized the value ​​of human life and the need for the memorialization of all those killed in the conflict, do not divide victims according to their status (civilian or military) or the side of the conflict. “The death equated all. Our task is to keep the memory of these events to prevent the manipulation of the number of victims or the circumstances of their death. The information war began before the military confrontation and will continue after its completion. Identifying everyone by name is our duty. 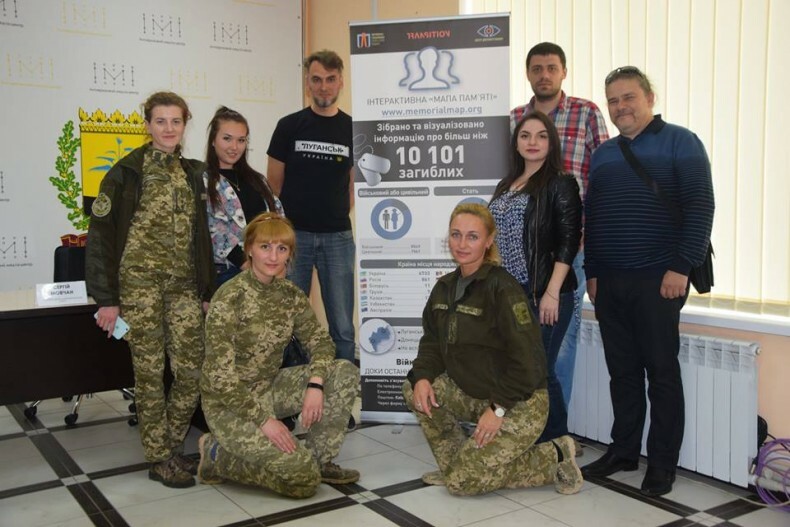 It will remind the next generation of the horrors of war, which will be a guarantee of non-repetition of such events in the future,” says Oleksii Bida, coordinator of the UHHRU Documentation Center. On September 25, the first presentation took place in Severodonetsk. The event was of particular interest of local media and civic activists. Unfortunately, the local administration did not pay attention to this event; at the presentation, there were no representatives of the information and analytical work sector and the department of interaction with law enforcement bodies and defense work of the Luhansk Regional State Administration, the State Archives of the region, for whom the topic of the presentation is their field of expertise. On September 27, during the presentation in Kramatorsk, representatives of the coordination group of civil-military cooperation of the ATO headquarters were present. The presentations were held on September 28 in Toretsk, and on 29 – in Pokrovsk. The last city of the tour was Mariupol on September 30. “The process of data collection is not limited to already available information. We continue to work in this direction and use all the methods available to us to collect the most truthful and complete content for the resource. To achieve this, we rely on the help of authorities and those indifferent, who have more detailed information about the events that took place in their settlements,” said Serhii Movchan, an analyst at the UHHRU Documentation Center. Until the last soldier is buried, the war isn’t over. Via the form under the link: http://memorialmap.org/. The events took place within the framework of the Transition Promotion Program project, supported by the Ministry of Foreign Affairs of the Czech Republic. The creation of the Memory Map resource was initiated within the framework of the USAID project, and the current improvement was made possible thanks to the Ministry of Foreign Affairs of the Czech Republic.